Although we love all seasons here, Sun Peaks winter activities are what Sun Peaks Resort is famous for! And with the earlier Sun Peaks improvements to west Mt. 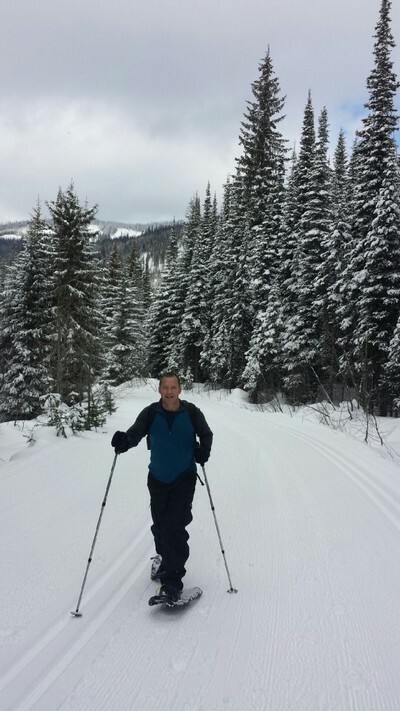 Morrissey and the Gil’s on Tod Mountain, Sun Peaks has now become the second biggest ski resort in Canada in terms of skiable terrain, and there are many winter activities at Sun Peaks for skiers and non-skiers. 2018 Expansion Plans also brought a new chairlift (The Orient) and a couple of new runs to join the new lift with existing runs, more chairs (even shorter lineups) on the Sundance Express, more development, newly renovated rooms at the Sun Peaks Grand, and ongoing improvements. Even though there are now over 4,270 acres of skiable terrain, 2000+ hours of sunshine, 337” of average annual snowfall (featuring Okanagan champagne powder), 137 trails (and growing) 3 unique mountains to ski and snowboard and minimal line-ups even during peak season, you don’t have to be an alpine skier to love it here! 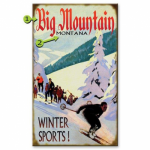 Click to save up to 40% on Snowboard, Nordic or Alpine ski passes and/or equipment rentals. Check out our winter driving to Sun Peaks tips for your safety and always be prepared for extreme winter driving conditions. The 2018/19 Sun Peaks ski season ends on Sunday, April 14, 2019. Sun Peaks has won awards for how family friendly it is, and there are Sun Peaks winter activities to suit all age levels and athletic abilities. There are plenty of low-cost or free Sun Peaks activities as well. And the best part is – they are all so close together that you can typically park your car once you arrive and not need it again until you leave. With so many ski-in/ski-out hotels, condos, chalets and owner vacation rental properties, including our Best Sun Peaks vacation condo in the popular Stone’s Throw development and our family-friendly Trapper's Landing Townhouse, there are also many great Sun Peaks accommodation options as well. If you need quality equipment rentals, check out our Sun Peaks Equipment Rentals page. And you can save up to 40% on your Sun Peaks lift passes and equipment rental packages by booking online before you arrive. 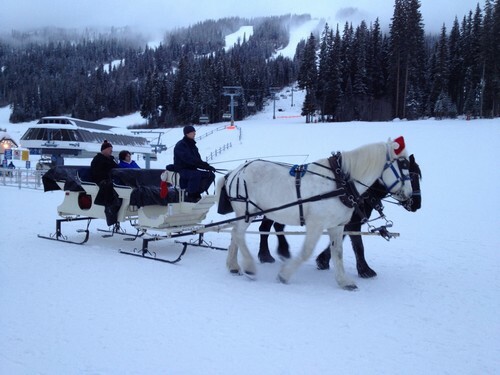 Horse drawn sleigh and trolley rides through and around Sun Peaks – giddy up! 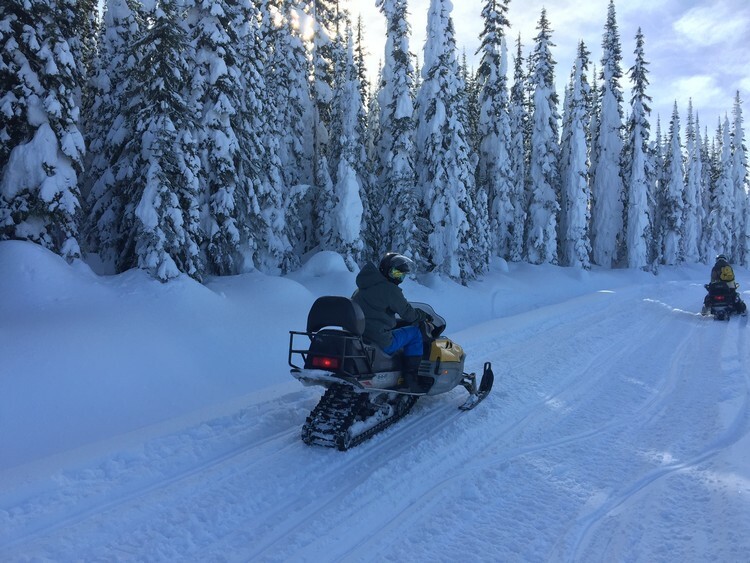 Sun Peaks Snowmobile tours - adrenaline pumping fun and one of our favorite Sun Peaks winter activities!! Sun Peaks Paint Night Parties with local Sun Peaks artist, Liz Derksen - another new, unique and entertaining Sun Peaks winter activities! Dog sled tours – now you’re barking up the right tree and our guests love this Sun Peaks winter activity! Cat Trax Groomer Rides – groovy and cool! Spa treatments! - begin or finish your day with a visit to the Sun Peaks Spa for RMT, relaxation, sore muscle, sports injury or other various specialty types of massages, manicures, pedicures, facials, and more - a great way to make it a special day. In-suite mobile massage - nice! Bungyzone trampoline – what goes up…..
Skating rink – new and improved NHL size rink now open, located close to the village near the swimming pool. Refrigerated base for prolonged and better ice conditions. 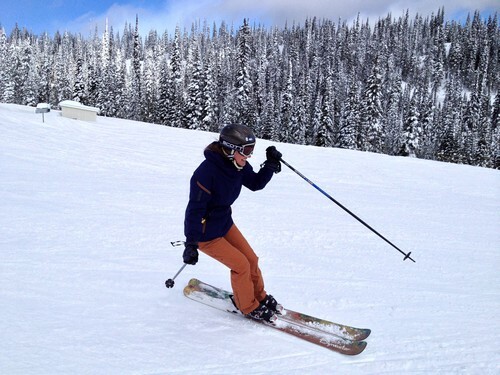 General ski lessons for all abilities – group or private - highly recommended of the Sun Peaks winter activities. Gil's Glades Tours- learn where the best stashes of powder are and how to safely ski the gladed Gil's off-piste terrain. All Mountain Skills Camp which focuses on off-piste safety and awareness of mountain hazards, including terrain assessment, hazard analysis, overnight survival, as well as companion rescue with transceiver, probe, and shovel techniques. Our kids both thought this course was AWESOME! Beyond the Groomers Camp allows you to explore over 500 acres of expanded terrain (with steeps, glades, moguls, and exceptional powder skiing) in this guided ski improvement camp with their top professional instructor. Helicat Warm Up Camp which allows skiers to properly warm-up and fine tune their powder skiing technique in the legendary Gil's terrain while developing the necessary backcountry skills prior to enjoying a spectacular nearby Helicopter or Cat skiing vacation. Learn or be reminded about avalanche awareness, companion rescue, tree wells and backcountry hazard recognition with this wonderful new course and Sun Peaks winter activity. Click to watch this Best Sun Peaks Winter Acvitivites video - Caution - may cause uncontrollable drooling! First Tracks ski and breakfast - be the first tracks in the POW! Fondue dinner and nighttime descent - unique and we highly recommend trying it! January 11-20	Sun Peaks 21st Annual Okanagan Wine Festival – very popular event! Contact us to share your favorite Sun Peaks Winter Activity, or complete and submit the form below.